This is not a ghost. This is what dust looks like when a camera flash reflects off of it. The following information is from Fuji Films a company that has earned the right to be considered leading experts in the field of digital photography. Common image problems and solutions. 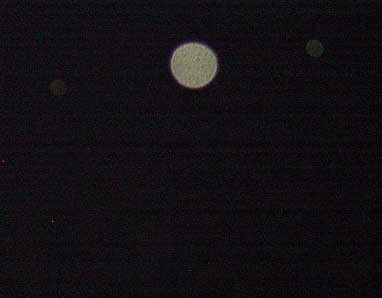 When taking pictures with my flash, whitish round dots appear in various parts of the image. There could be dust particles floating in the air. When you use the flash, the light from the flash reflects off the dust particles and is sometimes captured in your shot, which results in blurry white spots. Try setting your ISO higher as well as make the surroundings as bright as possible so that you can shoot without using the flash. You can also try to take the picture in a less dusty location. Otherwise, try a Fujifilm camera with Real Photo Technology – designed especially for faster shutter speeds that help stop motion in order to capture the kind of picture you want. We do understand that some people will say they "know" that their "orbs" are ghosts because they are a psychic. Or will say they have never gotten any other "orb" photos before therefore it must be a ghost. We have also heard from "expert" ghost hunters who declare that every other orb photo on the internet is dust with the exception of their own because they are the "greatest, smartest" etc. We have decided to put our own faith into the people who design, and manufacture cameras as well as those who have earned an expertise within the field of photography at this time. Please read our Final Orb article for our criteria for an anomalous orb. In 10 + years and counting, out of literally 10,000s we have yet to find a single orb photo where we can rule out an airborne particle. Dr Bruce Maccabee's conclusions based on his own experiments with orb photography as early as 2000 mirror our own. 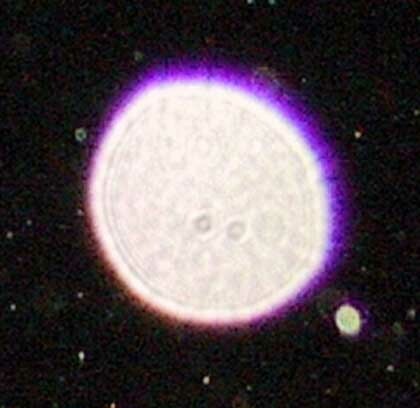 Please read Dr. Maccabee's scientific paper explaining orb images here.